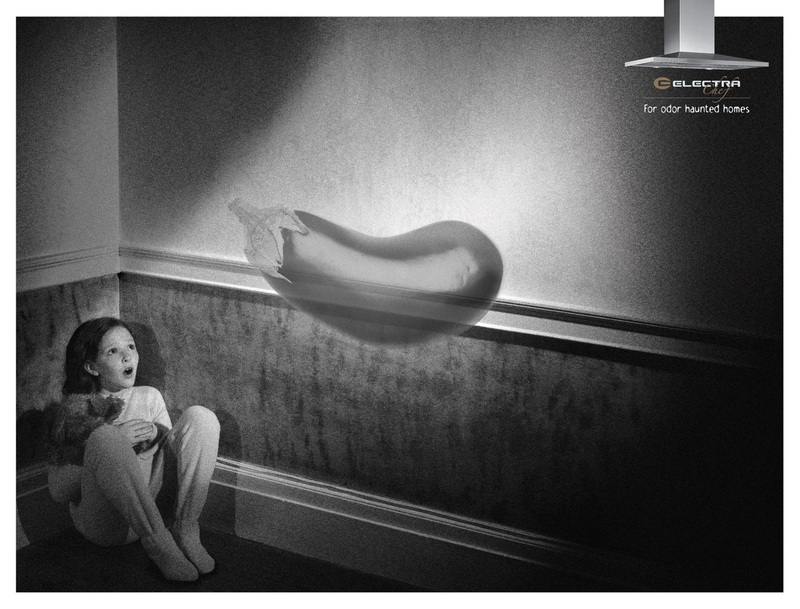 Electra, a home appliance brand in Israel, promoted the Electra Chef range hood with a print advertising campaign featuring the ghosts of garlic, steak and eggplant, inspired by black and white ghost movies from the 1960s. 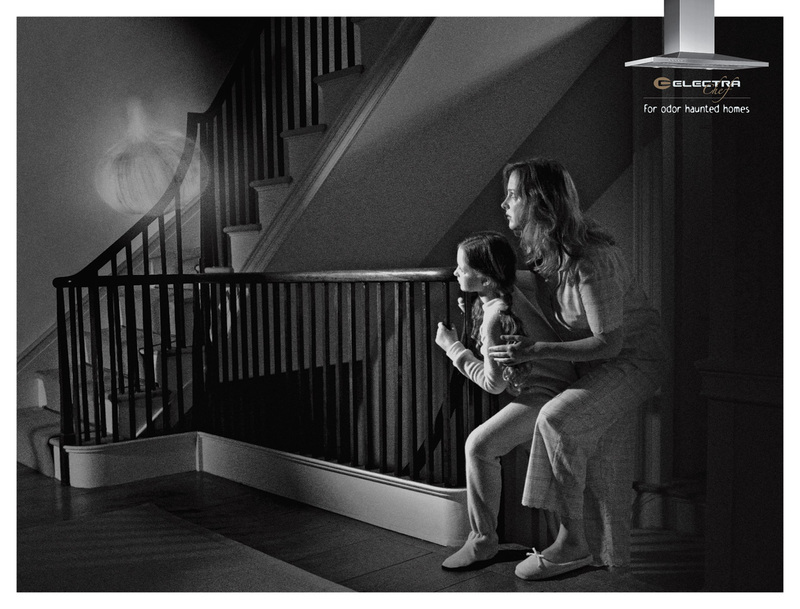 “For odor haunted homes”. 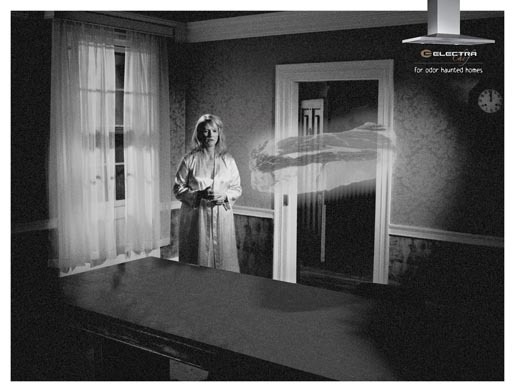 The Odor Haunted Homes campaign was developed at Adler Chomski-Grey, Tel Aviv, by chief creative director Tal Riven, creative director Ida Markowitz, art director Shirley Bahar, copywriter Uri Shoham, account manager Sartit Sternhall, producers Meital Tzoref, Yaron Terfati, Shlomi Branda.